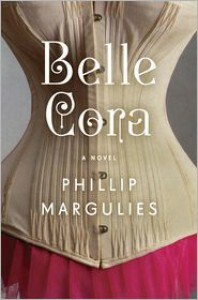 An amazing book about an amazing woman and loosely based on a real life 19th century prostitute. How does one go from being a well sought out prostitute to a dowager of stellar reputation on San Francisco's Nob Hill? In this novel, written as a two part memoir the reader finds out exactly how this happened. Generally I am not a big fan of first person narrations, but in this book it worked wonderfully well. Belle is an amazing woman, of unquestionable strength and her story is engaging and vividly portrayed. The amount of history covered is staggering, the amount of research that went into this book is nothing short of amazing. I loved this story about a woman, a victim who takes charge and shapes her life as she so wants. So hard to do in the 19th century when women has so little say or control over their own lives. Another thing I find interesting is that this book is written by a man. Seriously, I could not tell. Well written, history from the textile mills to the Gold Rush, the San Francisco fire with is the scene where the book begins, are all wonderfully described. I was hooked from the very beginning.